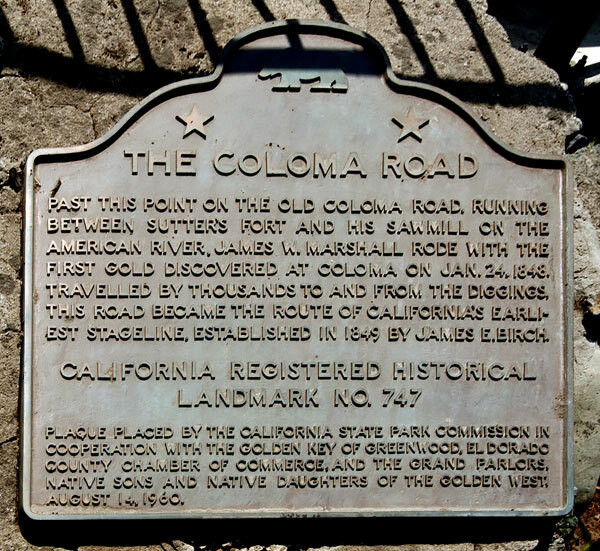 Past this point on the Old Coloma Road, running between Sutter's Fort and his sawmill on the American river, James W. Marshall rode with the first gold discovered at Coloma on January 24, 1848. Traveled by thousands to and from the diggings, this road became the route of California's earliest stageline, established in 1849 by James E. Birch. 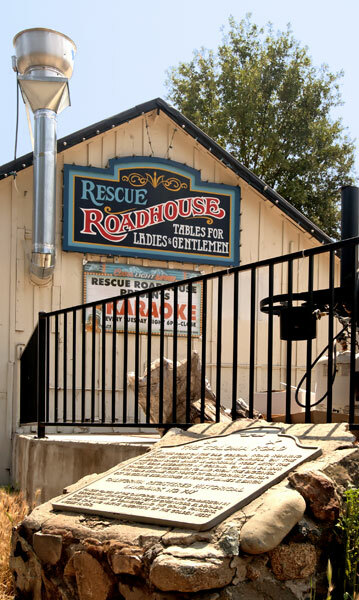 The Coloma Road is also California Historical Landmark 748.